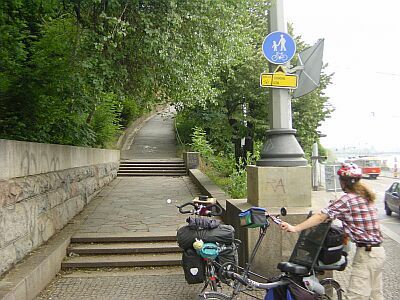 06/10 In Prague, we started by climbing up this cycle track (with stairs). 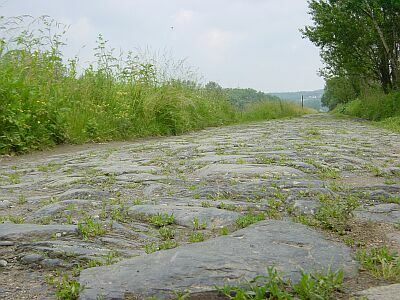 06/10 These road near the Vltava river looks beautiful, but is kind of hard to use. 06/10 Small break at the riverside. 06/10 Martin mastered all challenges. 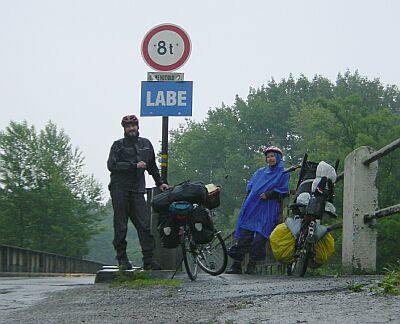 06/10 This is the point, where the two rivers Vltava and Elbe (Labe) are flowing together. 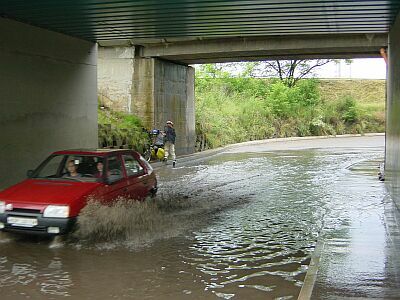 We discovered a third river: The rain coming from ahead. 06/11 Flat tire at Martin's recumbent bicycle. 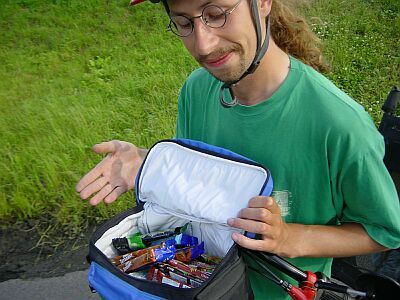 06/11 Our provisions, bought with our last Czech money. Müsliriegel!!! 06/12 Incredible. 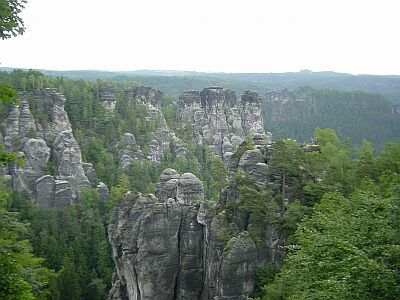 The Bastei in the Elbsandsteingebirge. One of the loveliest spots I have sawn so far. 06/12 This is Dresden. 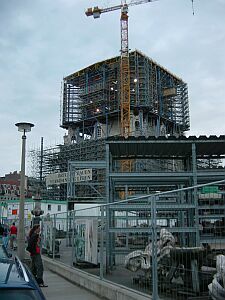 See the Frauenkirche which is renovated from it's original bricks. 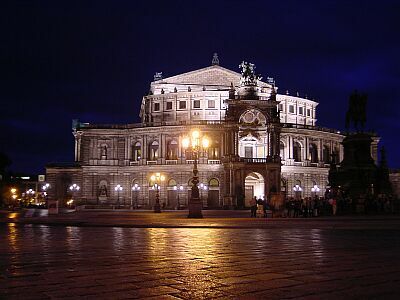 The building in the middle is the Semperoper. 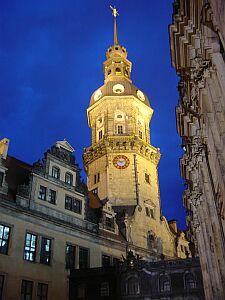 The building on the right side is the Hofkirche.